which will allow the most demanding customer to find his favorite type. Brand «Snow Panda» pleases customers with natural fibers, exceptional tenderness, perfect quality and unique design. The brand appeared on the market of sanitary-hygienic products of Ukraine in 2014 and has already become a favorite of many Ukrainians! And it's not surprising. It's impossible not to fall in love in the smiling face of a panda. «Snow Panda» is the personification of purity. Natural raw materials from the depths of nature retains maximum original appearance to the due to the use of high-tech equipment. Soft but at the same time very strong toilet paper. 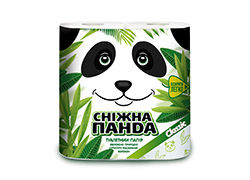 «Snow Panda» - soft by nature, cares about the customers health. Without the content of unhealthy addition! Kitchen towels and paper napkins are pleased with excellent thickness and economy in use. 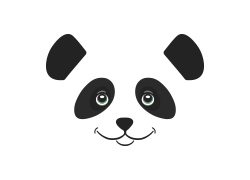 Brand products «Snow Panda» gives the maximum advantages! 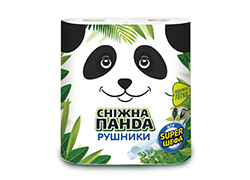 Be closer to nature together with «Snow Panda»!